As one of the UK’s most active SME finance providers, Maven has invested over £50 million in manufacturing and engineering businesses and has played a vital role in fuelling growth in these sectors. The UK has a proud history in manufacturing, with the North East having a particular strength in this sector. Home to a range of dynamic businesses, last year the industry continued to enjoy growth in the North East with new businesses launching at a faster rate than anywhere in the UK. According to the Regional Manufacturing Outlook from industry organisation EEF the number of manufacturing companies in the North East increased by 3.9% to 4,235 businesses in 2017, the fastest growth in any region. At the heart of the region is the County Durham Engineering and Manufacturing Network (CDEMN), a membership forum created to support companies ranging from international brands such as Palram, global leader in manufacturing thermoplastic sheets, and Mecaplast, leading European automotive equipment manufacturer, to innovative and diverse SMEs such as precision engineering specialists, Dyer Engineering and leading UK plastic injection moulding company, Formula Plastics. The mix of large home grown firms and small to micro businesses make up the area’s thriving manufacturing and engineering industries. With manufacturing accounting for 9.6% of the region’s total workforce the sector contributes millions of pounds to the North East economy. Ben Gilhespy, Director of Operations at CDEMN, said, “CDEMN’s activity grows in scale with each passing month. The support we provide primarily comes through our varied partners, each with a specific skill aimed at helping businesses to cope with day-to-day operations and plan for a brighter future. With over £300 million invested in growing businesses since 2009, Maven has a history of investments in innovative manufacturing and engineering companies. Maven funding can support a business at any stage of its growth cycle and cover a wide range of corporate activity including MBOs and buy-and-build strategies, as well as the provision of acquisition finance, development capital and replacement capital. As a leading private equity house, Maven has the capacity to invest in a wide range of North East businesses in private equity transactions of up to £15 million, and on behalf of a range of funds including six venture capital trusts (VCTs) and a co-investment network of High Net Worth and professional investors. Maven also manages the £20 million Finance Durham Fund, announced this year by Business Durham, which can support the growth of manufacturing and engineering businesses located in, or looking to relocate to the County. 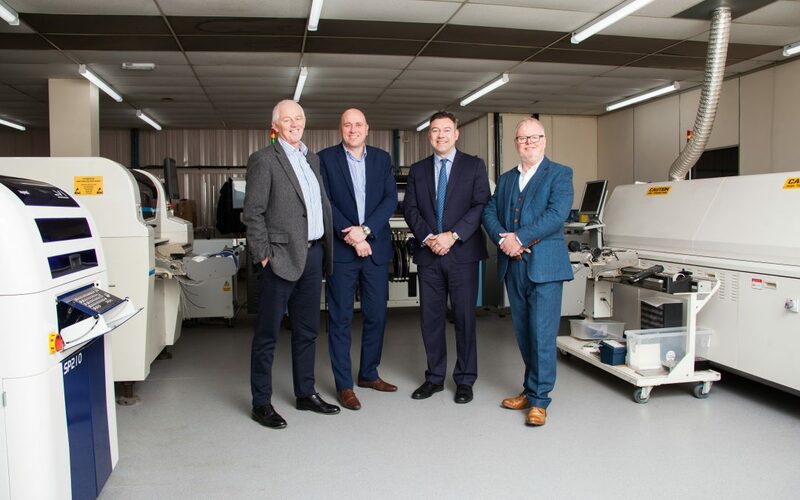 Locally, the Maven team invested in Durham-based Martel Instruments, one of the UK’s leading manufacturers of compact printer and LCD modules, which supplies products to a global customer base across a range of industries including automotive, medical, transport and retail. Winners of the Manufacturing Innovation Award at Insider’s Made in the North East Awards 2017 for its work on VIDA 4.0, Martel’s newest product offers enhanced computing capability and wireless Internet Of Things (IOT) connectivity for new and existing equipment in a low-volume customizable platform. With an experienced North East team, operating from new offices in Durham and Newcastle, and a strong investment history across the North of England, Maven is well-resourced to provide the necessary support to local companies, both in terms of the initial investment process and the ongoing support as those businesses grow. As a member of CDEMN and strong supporters of this industry-led initiative, we support its aim to encourage firms of all sizes to share ideas and experiences to ensure that the regional engineering and manufacturing sectors continue to grow. Our local team are actively looking to work with exciting manufacturing and engineering businesses, based in the North East, looking for the right funding to help achieve their growth plans. Please contact Maven to discuss your business and its plans, or visit www.mavencp.com to find out more.